A double-bill of “Detour” and “The Strange Woman” on Friday, Nov. 6, will launch the Academy’s Edgar G. Ulmer screening series. A production designer and director, Ulmer worked in many genres and, as the “King of Poverty Row” in Hollywood, was underrated in his lifetime. We, of course, adore his film noir titles. The six-film series is running in conjunction with the ongoing exhibition Haunted Screens: German Cinema in the 1920s at the Los Angeles County Museum of Art (Lacma). The films will be shown at Lacma’s Bing Theater. The Film Noir File is FNB’s guide to classic film noir, neo-noir and pre-noir on Turner Classic Movies (TCM). All movies below are from the schedule of TCM, which broadcasts them uncut and uninterrupted. The times are Eastern Standard and (Pacific Standard). Ulmer, born in Olmutz, Moravia, Austria-Hungary in 1904, started his career in Germany, in the heyday of German Expressionism, working, he claimed (some dispute it), on classics such as “Metropolis,” and “The Last Laugh” for film geniuses like Fritz Lang and F. W. Murnau. 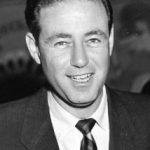 He received his first directorial credit on “People on Sunday,” with fellow filmmakers Robert Siodmak, Billy Wilder and Fred Zinnemann. While Wilder and the others became A-list directors and even Oscar-winners in Hollywood, Ulmer was exiled to “Poverty Row.” There he labored for the rest of his career on an amazing potpourri of low-budget titles, including westerns, film noir and science fiction. 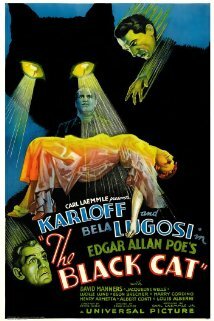 The reason: While he was directing the 1934 horror hit, “The Black Cat” starring Boris Karloff and Bela Lugosi, Ulmer made the mistake of having an affair with his producer’s wife, Shirley Alexander. Shirley later divorced her husband Max, married Ulmer and worked beside him, as script supervisor or scenarist, from then on. Ulmer’s Hollywood career lasted from the early ’30s to the mid ’60s, largely because he doesn’t seem to have ever turned down a script. He shot on bare-bones sets, with actors usually (though not always) on the B or C or D lists, from scripts for which the adjective “clichéd” would be a compliment. And though his movies may have been shot for peanuts, in his hands, they often looked like caviar. 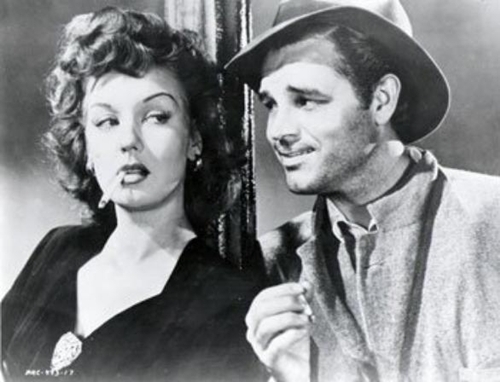 A healthy percentage of Ulmer’s movies were film noir – or close to film noir. They took place in a world of fear and darkness, sometimes because the characters were swallowed up in impending doom, and sometimes, one suspects, because the electricity bill hadn’t been paid. 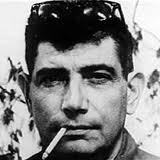 Whatever the job though, Ulmer was one of the real masters of the noir form and style. And why shouldn’t he be? His whole life and career, in a way, were film noirs – dark stories of infidelity, betrayal, paranoia and persecution, enacted in an Ulmerworld that was lost in shadows of menace and dread. Ulmer died in 1972, but he lived to see his work revived and his name made famous – cultishly famous, it’s true, but renowned nonetheless. He and Shirley are buried near each other. And they now have Ulmerfests near his Austrian-Hungarian birthplace. Here is your own Ulmerfest from TCM. So, take the detour. You won’t find cheaper, better, crazier, more cultish, shadowy, mesmerizing (or should we say “Ulmerizing“) Poverty Row classics anywhere. 8 p.m. (5 p.m.): “Her Sister’s Secret” (1946, Edgar Ulmer). A weepy soaper, starring Nancy Coleman and Margaret Lindsay as sisters with a secret (an illegitimate child). Not quite in Douglas Sirk’s class, but better than most cheapo tear-jerkers. 9:15 p.m. (6:15 p.m.): “Edgar G. Ulmer – The Man Off-Screen” (2004, Michael Palm). A 2004 Ulmer documentary. Interviewees include Peter Bogdanovich and Roger Corman. Also shown at 5 a.m. (2 a.m.) on Wednesday, Oct. 22. 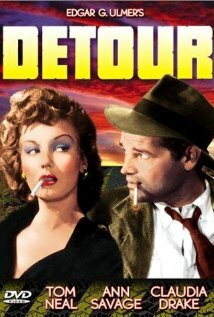 “Detour” eventually made it into the U. S. National Film Registry. 10:45 p.m. (7:45 p.m.): “Carnegie Hall” (1947, Edgar Ulmer). Marsha Hunt is a faithful Carnegie Hall music lover determined that her son (William Prince) will be a great classical pianist. While she drives him onward and upward, director Ulmer – a classical music buff of the first degree – beautifully stages and photographs some incredible performances by such legendary classical virtuosi as pianist Artur Rubinstein, violinist Jascha Heifetz, cellist Gregor Piatagorsky, conductors Leopold Stokowski and Fritz Reiner (Ulmer’s personal friend and the godfather of his daughter), opera singers Lily Pons, Ezio Pinza and Rise Stevens, and, for variation, pop music stars Harry James and Vaughn Monroe. Few musical movies have ever boasted a lineup like that – and this movie probably had a special place in music-lover Ulmer’s heart. 1:15 a.m. (10:15 p.m.): “Murder is My Beat” (1955, Edgar Ulmer). Two cops chase a killer. One of Ulmer’s pure noirs. With Paul Langton, Robert Shayne and Barbara Payton. 2:45 a.m. (11:45 p.m.): “Detour” (1945, Edgar Ulmer). With Tom Neal, Ann Savage and Esther Howard. Read the full review here. 4 a.m. (1 a.m.): “The Amazing Transparent Man” (1960, Edgar Ulmer). A gangster and a mad scientist with an invisibility formula team up for a crime wave. There is no truth to the rumor that the producer told Ulmer to make the entire cast invisible to save on salaries. With Marguerite Chapman and Douglas Kennedy. 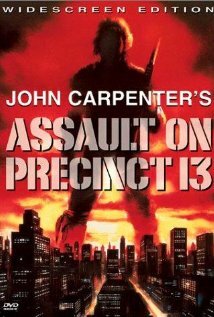 2:30 a.m. (11:30 p.m.): “Assault on Precinct 13” (1976, John Carpenter). Trapped in a local Los Angeles precinct station and lock-up, with communication cut off and a gang of vicious delinquents and criminals besieging them from outside, a group of cops and convicts try to make it through the night. Director-writer John Carpenter, inspired by one of his favorite movies (the 1959 Howard Hawks Western “Rio Bravo”) gives us one of the quintessential entrapment thrillers. With Austin Stoker and Darwin Joston. 5:45 p.m. (2:45 p.m.): “Foreign Correspondent” (1940, Alfred Hitchcock). With Joel McCrea, Laraine Day, George Sanders and Herbert Marshall. Reviewed in FNB on March 26, 2014. 8 p.m. (5 p.m.): “Marnie” (1964, Alfred Hitchcock). With Sean Connery, Tippi Hedren and Martin Gabel. Reviewed in FNB on Jan. 30, 2012. 8 p.m. (5 p.m.): “Saboteur” (1942, Alfred Hitchcock). Robert Cummings plays one of the classic Hitchcockian “wrong men,” falsely accused of World War II era sabotage, racing cross country to try to find and expose the real saboteurs. In the tradition of “The 39 Steps“ and “North by Northwest,“ it’s full of sometimes astonishing suspense set-pieces, including the breathtaking, vertigo-inducing scene with Cummings and Norman Lloyd at the top of the Statue of Liberty. The Noir File is FNB’s guide to classic film noir, neo-noir and pre-noir from the schedule of Turner Classic Movies (TCM), which broadcasts them uncut and uninterrupted. The times are Eastern Standard and (Pacific Standard). “Detour” (1945, Edgar G. Ulmer). Tuesday, June 11: 2:45 p.m. (11:45 a.m.). Luck so bad it borders on absurd, a story as flimsy as cardboard, a femme fatale who’s downright feral. That would be 1945’s “Detour,” a B classic that director Edgar Ulmer shot in less than a month for about $30,000. Despite these limitations (or maybe because of them) Ulmer manages to work some visual miracles. Those foggy scenes where you can’t see the street? He didn’t have a street so he filled in with mist. 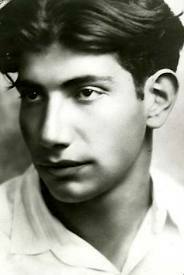 Born in what is now the Czech Republic, Ulmer came to the US in 1923. He brought a high-art, painterly disposition to this tawdry little flick, as he did to most of his work. You can read the full FNB review here. 11:15 a.m. (8:15 a.m.): “Stranger on the Third Floor” (1940, Boris Ingster). With Peter Lorre, Margaret Tallichet and Elisha Cook, Jr. Reviewed on FNB Nov. 3, 2012. 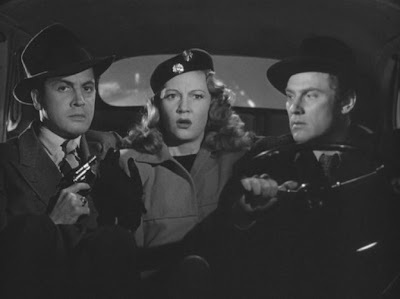 All this month, on its Friday Night Spotlight screenings, TCM will show a series of classic film noirs – with each Friday devoted to movies based on or written by (or both) one of four top-notch noir authors – Dashiell Hammett, Raymond Chandler, James M. Cain and Cornell Woolrich. 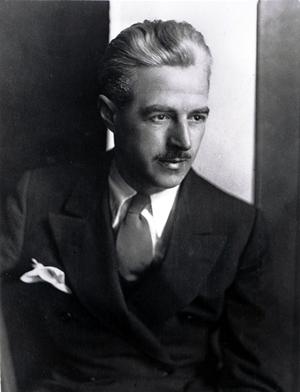 Tonight the spotlight is on the matchless hard-boiled crime writer Dashiell Hammett – who, along with Ernest Hemingway, was probably one of the most influential American writers of the decades after World War I, and since. Terse, lean and brutally direct, empty of flourish, cliché or artifice, Hammett’s style owed a lot to his own years as a Pinkerton detective. 8 p.m. (5 p.m.): “The Maltese Falcon” (1931, Roy Del Ruth). The first movie adaptation of Hammett’s classic dark private-eye novel, with Ricardo Cortez as Sam Spade, Bebe Daniels as the femme fatale and Dudley Digges as Gutman – all chasing the priceless black bird. It pales beside John Huston’s great version of course (see below). But it’s not bad, in a raunchy pre-Code way. “Ruthless” was recently released on Blu-ray by Olive Films. The Czech-born émigré film director Edgar G. Ulmer, as noir as they come, was called the King of Poverty Row by some of his cultish admirers. Pictures like Ulmer’s 1945 low-B film noir “Detour,” his 1939 African-American ultra-indie “Moon Over Harlem,” the 1951 low-fi sci-fi “The Man from Planet X” and the 1955 cheapo Western “The Naked Dawn” stretch the limits of cinematic ingenuity stimulated by minuscule budgets. In Ulmer’s undisputed masterpiece “Detour,” the director shows buildings lost in the night and fog – a spine-chilling effect – because there was no money for a street set. “Ruthless,” by comparison, is a fairly lush production, with a multitude of richly detailed sets, high production values and a cast that ranks just below A-level. The film has that sense of impending evil and doom that also marked Ulmer’s 1934 Boris Karloff–Bela Lugosi horror classic “The Black Cat.” Even when “Ruthless” becomes absurd – as in the fervidly ludicrous climax – it’s always fun to watch. 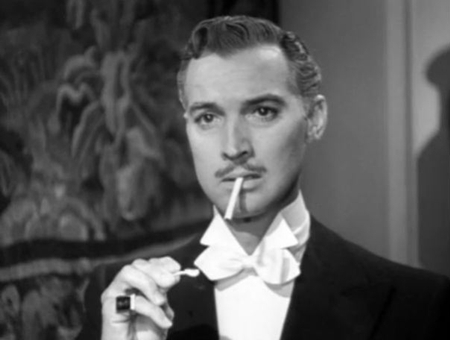 Zachary Scott, the great film noir lounge lizard, here plays the ruthlessly successful financier Horace Woodruff Vendig. Zachary Scott, the great film noir lounge lizard, here plays the ruthlessly successful financier Horace Woodruff Vendig who cheats, double-crosses and sleeps his way to the top, then shrugs it off when a one-time ally commits suicide. Louis Hayward is his often-abused and appropriately named best friend Vic Lambdin. Scott, a sometimes underrated actor (he was tremendous in both “Mildred Pierce” and in Jean Renoir’s “The Southerner”), manages to show the warmer, more seductive qualities beneath the ruthlessness of Vendig. Greenstreet seems miscast playing a guy named Buck. But he has a good time as the vengeful ex-tycoon, as does Diana Lynn (twice) and Burr, who can occasionally, though not here, seem like a second-string Greenstreet. 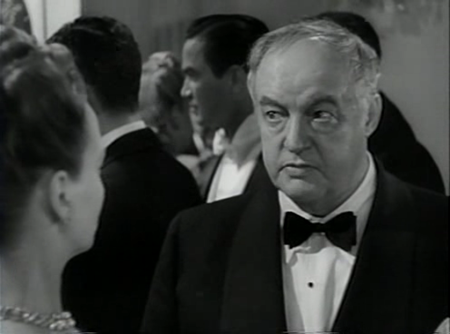 Sydney Greenstreet plays Vendig’s rival who’s not quite ruthless enough. The subject of “Ruthless” is wealth, its hypocrisies and the price it ultimately exacts from the soul of the taker. 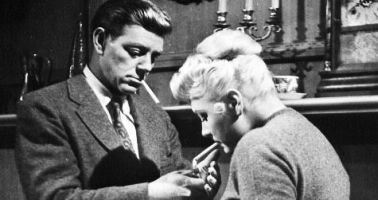 The obvious inspiration for “Ruthless,” which was based on a novel by Dayton Stoddart (I know, I’ve never heard of him either), is the film of films, Orson Welles’ “Citizen Kane.” From Kane, Ulmer and his screenwriters borrow the multiple flashback structure, the deep-focus camera virtuosity, the theme of the sins behind great fortunes, the foil of the humanistic best friend (Hayward) and the main character with three names. But almost anybody can be better with better stuff and the one big advantage of working on Poverty Row is that you’re left alone if you can get it done on time and on (you’ll excuse the word) budget. Ulmer and his charmingly disreputable and penny-wise films will always be special treats to devotees of black and white Hollywood. Now let’s go watch 1960’s “The Amazing Transparent Man.” I hear the reason the Man was transparent is that there was no money for another actor. 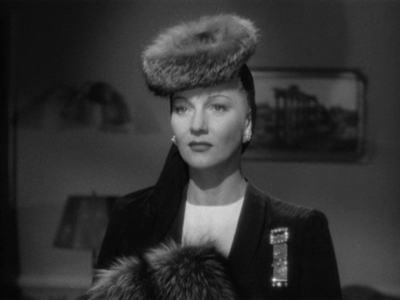 Jean Gillie as Margot is tougher than any American femme fatale of the era. Talk about raw deals. The hardest, greediest, most daring femme fatale in all of classic film noir – England’s Jean Gillie in “Decoy” – is not widely known today, beyond a fervent cult following. Well, let me start by telling you about it. Made in 1946 by director Jack Bernhard, who also directed “Blonde Ice,” this is another hard-core noir story with a totally heartless seductress, a wildly improbable plot and a grimly pessimistic take on human nature. First, the dame: Dainty, devious and always dressed to a T, Margot Shelby (Gillie) wants the $400,000 that her jailed boyfriend, an old codger named Frank (Robert Armstrong of “King Kong”), has hidden in a buried suitcase. But Frank is awaiting execution and he’s squirreled away the map to the treasure. 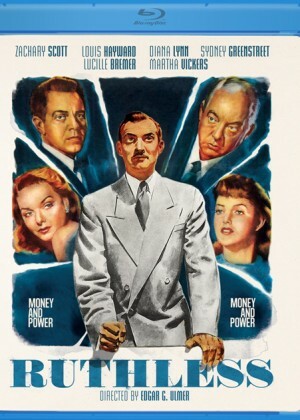 Gangster Jim (Edward Norris), Margot and prison doctor Lloyd (Herbert Rudley) band together to find the $400,000 in cash that Frank has buried. Hmm, that’s a drag. What to do? Margot figures, after he gets the lethal gas, my pals and I will just bring him back to life. Then, he can lead us to the cash. Margot’s helpers are gangster Jim Vincent (Edward Norris) and prison doctor Lloyd Craig (Herbert Rudley), both of whom are crazy about her. 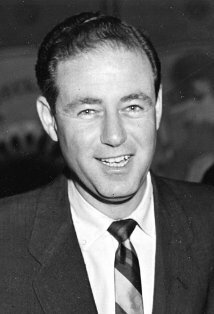 So is nosy police sergeant Joe Portugal (Sheldon Leonard) or Jo-Jo as Margot calls him when she’s flirting with him. Like any good ringleader, Margot keeps abreast of all kinds of news, and she learns about a chemical called methylene blue, which can be used as an antidote to gas poisoning. So, all they have to do is grab Frank after the execution, pop another body in the hearse and hightail it to the doctor. Selling Jim, a fully oozing sleaze-atron, on her absurd plan is easy. Earnest and upright Dr. Lloyd is a bit trickier. “I had to smash that shield of ideals,” says Margot. Helping people, healing the sick and making the world a better place? Puhleeze. As she points out, how could they possibly be happy on Lloyd’s paltry $75/week salary when one bottle of Margot’s fave perfume costs $75? By the time Margot is digging for dollars under the moonlight, her motley gang has dwindled to one, ie Margot. Nothing makes Margot laugh more than bumping somebody off. Her gleeful chortling punctuates the action throughout, but it’s most memorable as a defiant final gesture toward Jo-Jo the cop. She may get what’s coming to her but she also gets the last laugh. Sorry? Penitent? Remorseful? Not a chance! Gillie’s is the standout performance, but the guys certainly hold their own, especially Sheldon Leonard as the conflicted cop. (Leonard also played Nick the bartender in “It’s a Wonderful Life.”) I love the part in “Decoy” when Leonard’s Jo-Jo sits on a bar stool munching a snack – not a burger or fries, but a hard-boiled egg. Mmm, what could be better than a beer and a yolk? Another great moment is when he bums a “stay-awake” pill from Dr. Lloyd. Like most B-movies, “Decoy” was cheap and churned out quickly, yet director and co-producer Jack Bernhard’s artistic style distinguishes this film from run-of-the-mill, mediocre B-fare. “Decoy” was out of commission for several decades after its release; a screening at the American Cinematheque about 10 years ago earned fresh appreciation for the film and director. Bernhard discovered Gillie in England while he was serving in World War Two. They married, made this film and split up. Sadly, Gillie died of pneumonia in 1949, at age 33. Bernhard disappeared from the Hollywood scene shortly after and little is known about the rest of his life. So, have I convinced you – are you going to give Jean Gillie a chance? If I haven’t, guess I’ll have to pry myself off the sofa and hit the pavement. Just as soon as I finish my nap and book my massage.